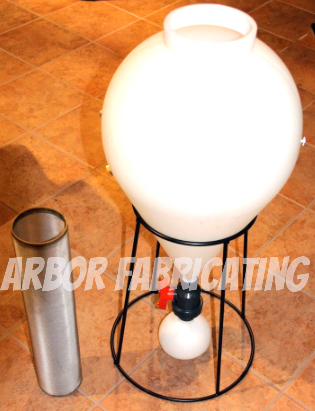 Our Dry Hopper for FastFerment conical fermenters allows you to dry hop directly in your fermenter. Constructed of 304 Stainless Steel and 300 micron mesh, this filter measures approximately 4" by 19". These dimensions allow the filter to stand upright in the fermenter without tipping over. The Fastferment is not included with the filter, but can likely be purchased at your local homebrew store.